Not everyone loves the Classic Flap Bag or the Boy Bags. Some like something distinctive, others go for urban-chic. 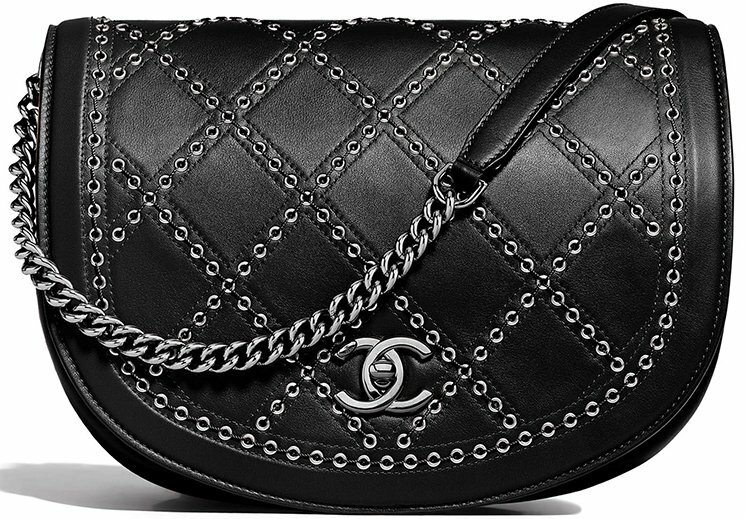 And that’s okay because there are plenty of variation of Chanel handbags. 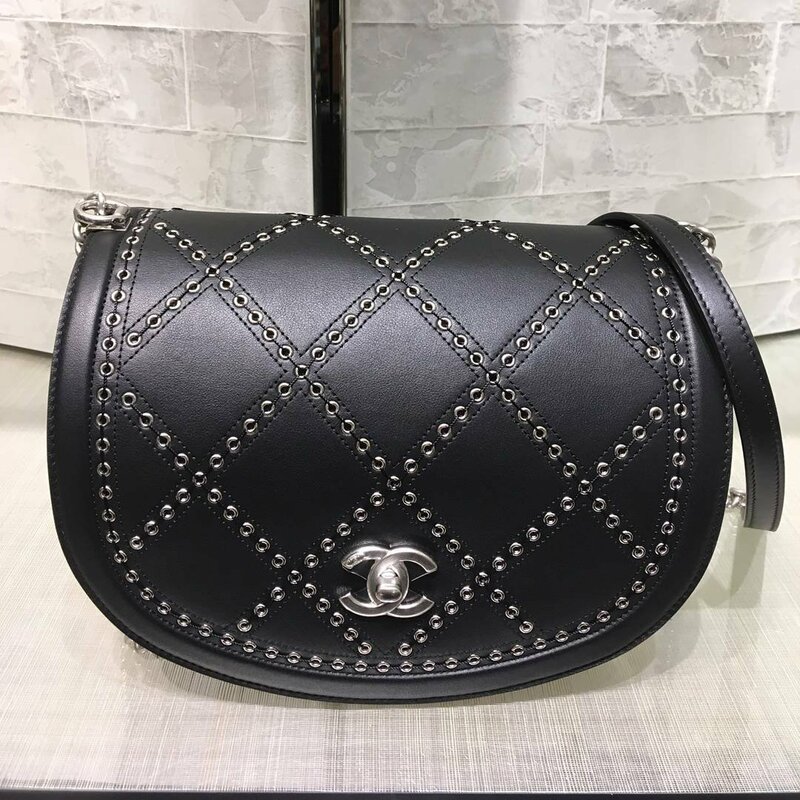 For example, the Coco Eyelets Round Flap Bag, which has been introduced for the Cruise 2018 Collection. It’s also quilted, but in a different way. Designed in beautiful round shape, the Coco Eyelets Flap Bag is feminine but more ideal for the casual days. You can carry it with work of course, but match it with jeans for the best look. 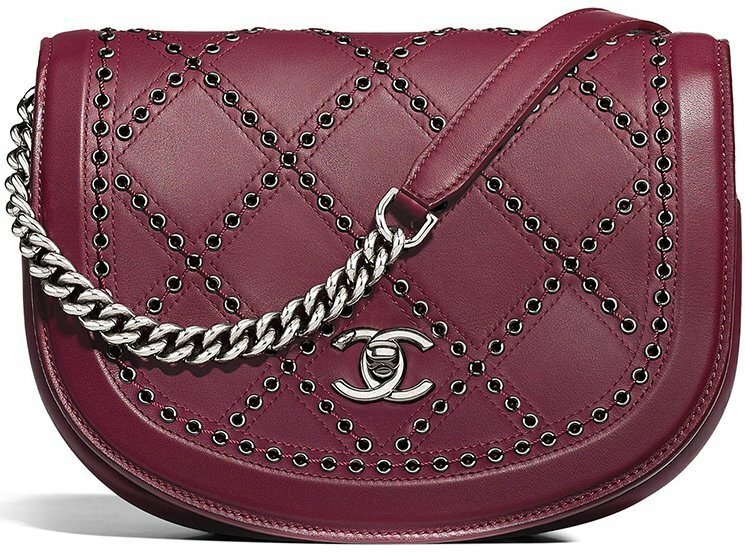 This bag is quilted just like most of Chanel’s handbags, but in a different way. 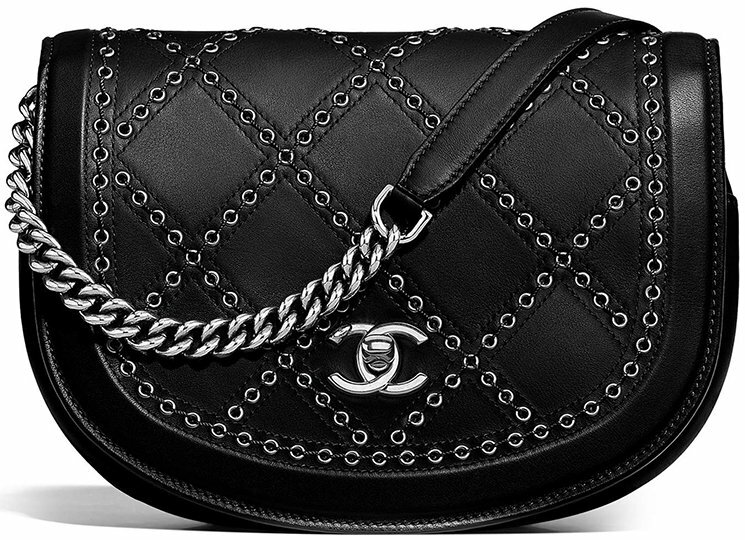 The diamond quilting is refined with little eyelets. It’s elegant, but also urban-like. 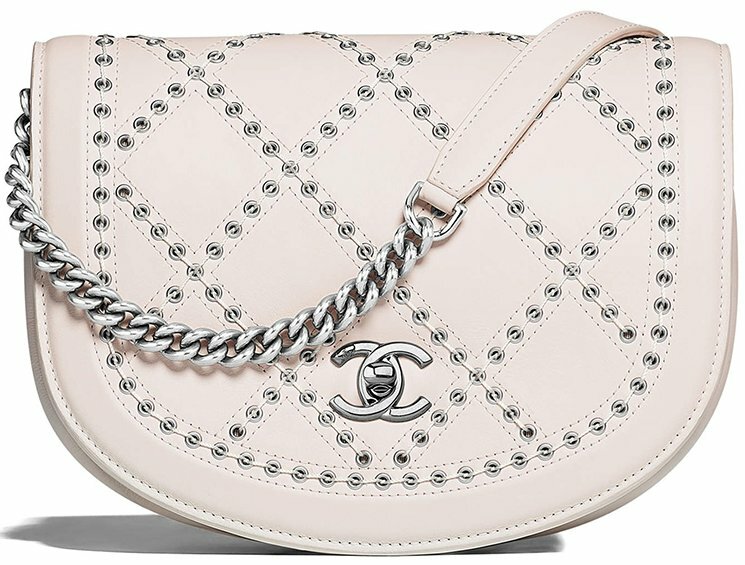 The center is crafted with the signature smooth CC logo while the medium-sized chain strap is inspired by the Boy Bags. 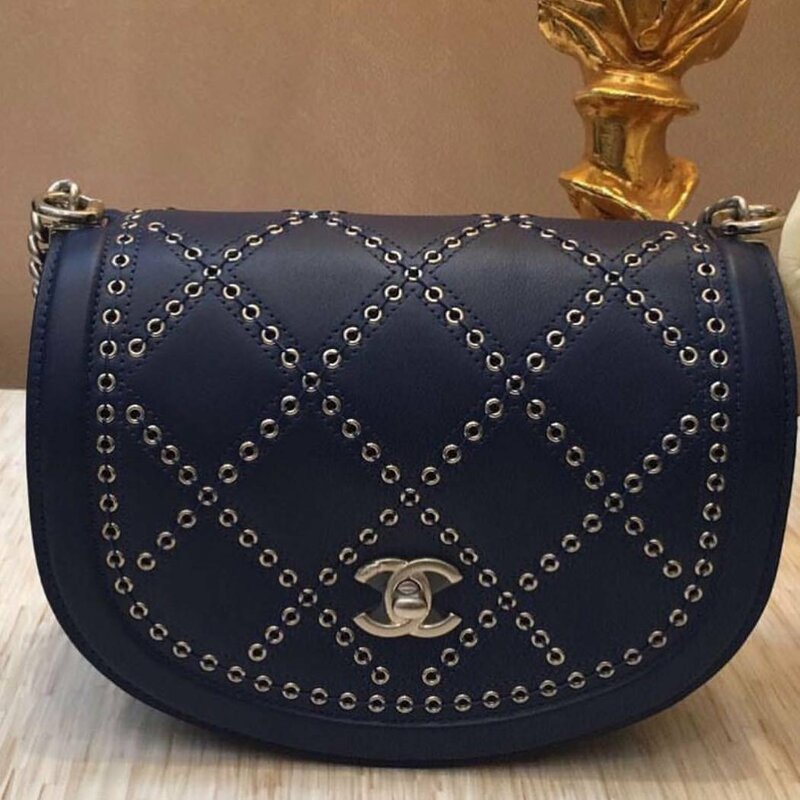 You can carry this bag cross body or on your shoulder. 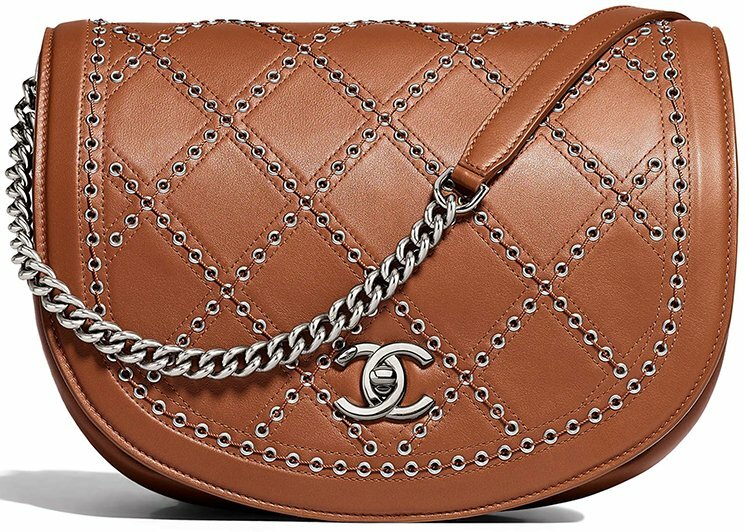 This handbag is large enough to carry all your daily essentials. And the good news is that it also comes in different size. If the small size is not large enough, then take the medium size.